When you think back to Bill Walsh’s great 49er teams, who are the first players you think of?? Right there with the Joe Montanas, the Jerry Rices, and Ronnie Lotts it only takes a fraction of a second to think of Roger Craig. His high knee running style brought a physicality to the San Francisco offense that was seen as a finesse group up until his arrival. In fact he came to San Francisco as a fullback when they drafted him from Nebraska before the 1983 season. 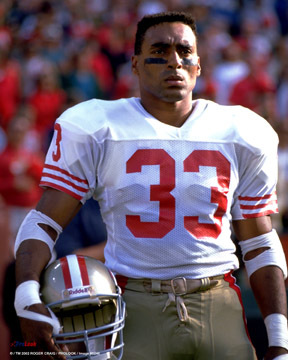 Roger Craig was the battering ram of the San Francisco offense. In college he had been primarily a blocking back in the Cornhuskers wishbone offense. Normally he paved the way for Jarvis Redwine and then Mike Rozier. Yet when Bill Walsh decided to revamp San Francisco’s dismal backfield after a 3-6 season in 1982, he drafted Craig in the second round. Although the 49ers had won it all in 1981, it had become apparent Bill Ring, Amos Lawrence, Walt Easley, and Earl Cooper just wasn’t cutting it in the backfield. To raise the stakes in the NFC for 1983, Craig and newly acquired Wendell Tyler would form a more potent backfield. After posting the worst yards per carry average (3.4) and yardage (742) in 1982, the new backfield duo of Craig and Tyler turned that around completely. The much improved ground game of 1983 ranked 8th with 2,257 yards rushing and a gaudy 4.4 yard average. Ironically just ahead of the Los Angeles Rams, who had traded Tyler to San Francisco so they could draft Eric Dickerson. You had to give the nod to Craig who ran for 783 yards a team leading 8 TDs, while catching 42 passes for 427 yards and another 4 scores. This more dynamic backfield, along with Joe Montana, powered San Francisco to the NFC Championship Game. A 24-21 loss to the Washington Redskins was shrouded in controversy, thanks to some questionable calls, yet Walsh had the backfield he envisioned. Craig had reinvented himself from a collegiate player who rarely touched the football to a dual threat pro. The 1984 49ers were a juggernaut becoming the first team to go 15-1 during the regular season. Everyone of the 49 man roster played their role so no one had outstanding stats. However once the 49ers moved past the New York Giants and Chicago Bears during the playoffs, the stage was set for a coming out party in Super Bowl XIX. With all eyes on Joe Montana’s possible second Super Bowl trophy and the electrifying record setting Dan Marino, Craig’s name didn’t even make the marquee. 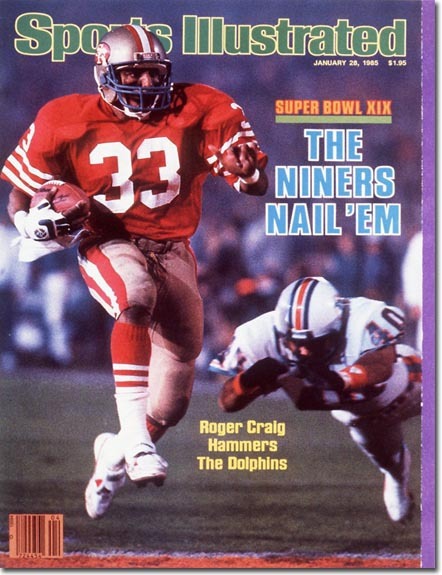 Roger Craig graces the cover of Sports Illustrated after his record breaking performance in Super Bowl XIX. It was his 1985 that set Craig apart as he amassed his 1,000/ 1,000 yard seasons both rushing and receiving. The first player in league history to do so. Some 27 years later, only Hall of Famer Marshall Faulk shares that accomplishment when he did it in 1999. How dominating was his performance?? Well his 1,050 yards rushing doesn’t jump out at you until you realize he only ran 214 times for a whopping 4.9 yards per carry. The league average is always around 4.0. Oh by the way, he led the NFL in receiving that year with 92, which set a record for running backs, that amassed 1,016 more yards. His 15 total touchdowns was second to Joe Morris and was 1 better than NFL MVP Marcus Allen. In fact many pundits, including our CEO believes Craig should have been the MVP in 1985 with that dominating performance. Now buoy his 1985 record setting season not culminating with the league MVP, on the backdrop of a Super Bowl record 3 TDs yet not winning that MVP and you’ll see where we’re going in a minute. Don’t forget he did this on a 10-6 San Francisco team that was a defending champion with Jerry Rice being a rookie that didn’t have 1,000 yards receiving and only 3 touchdowns. Craig quite simply fueled that offense. Once the 49ers won Super Bowl XIX, they were forced to retool and become a bigger physical team. In 1985, the Chicago Bears emerged with one of the most imposing defenses in NFL history. The Giants followed suit with an overwhelming defense that featured 4 linebackers in the 250 lbs category. When Bill Walsh and his 49ers were dominated 49-3 in the 1986 NFC Divisional Playoffs by the Giants something had to be done. These were teams the 49ers had beaten on their way to the ’84 championship, now they had taken the game to a new level of brute force. In reinventing the offense from a size perspective, it was Craig who was switched from fullback to halfback to allow for the insertion of Tom Rathman at fullback. The entire offensive line was overhauled. You have to keep in mind the average career for a runner in pro football is less than 4 years. Yet here Craig was making the switch in year 5 to a position that called for him to be quicker. This at a time where he should have been slowing down from a physical standpoint. Yet he, Jerry Rice and Joe Montana spearheaded one of history’s most accomplished runs. From 1987-1990 the 49ers went 51-12 in the regular season, winning back to back Super Bowls in ’88 & ’89 and were the prohibitive favorites to win it all in 1987 as well as 1990. They finished #1 in offense in ’87 and ’89 and #2 in ’88 and ’90. In each year they made it to at least the divisional round of the playoffs and 3 straight NFC Championship Games as they were trying to threepeat. Playing in only 12 games due to the ’87 strike, Craig ran for 815 yards which projects out to 1,086 over a full season. The 13-2 Niners were poised to become the greatest team of the modern era yet were upset by the Vikings in the playoffs. They were #1 in both offense and defense yet proved fallible in the playoff loss. Craig went on to his greatest performance in the 1988 campaign. In rushing for a career high and club record 1,502 yards, he also caught 76 passes for an additional 534 yards for his second season with over 2,000 yards from scrimmage. More important, he powered San Francisco to another Super Bowl championship with a win over Cincinnati in the XXIII’d edition. Roger Craig was a hard nosed runner. Yet go back to 1988 being his second season with more than 2,000 yards from scrimmage. Keep in mind this was no sleek, make ’em miss halfback. He brought a punishing style to his position where he bludgeoned the opposition. As you’re reading this you can picture his high knee running style like when he trampled through the Rams on his most famous run in 1988. Yet did you know that Emmitt Smith, Thurman Thomas, and Barry Sanders only had 2 different seasons amassing 2,000 yards from scrimmage also?? Did you also know that Marcus Allen and Adrian Peterson have only had one?? Only Edgerrin James, Marshall Faulk, Ladainian Tomlinson, and Eric Dickerson had more. What do all of these runners have in common?? Peterson and Tomlinson will be in the Hall of Fame and all the others are in. Roger Craig is right there with them. Now going into the Hall of Fame is based on impact on the game. By the time we bring up the 1989 team that won Super Bowl XXIV, Craig was a driving force behind the team of the decade. 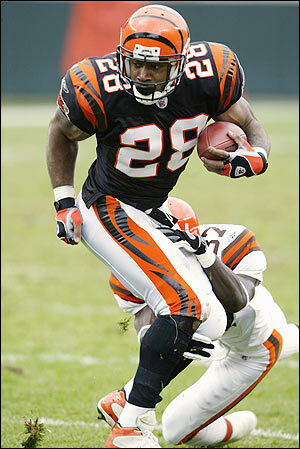 Again he was a 1,000 yard rusher as the team won their fourth Super Bowl and Roger had his 3rd ring. When he left the game in 1993, his 566 career receptions was #1 among running backs all time and still remains 7th. He is in the linear line of great NFL running backs when it comes to catching the football and is a part of the game’s evolution. He took the mantle from Chuck Foreman and propelled it forward. Since then, only a handful of every down running backs have provided that type of versatility. Now everyone has a receiving running back who comes in on 3rd downs where Roger was in every play. 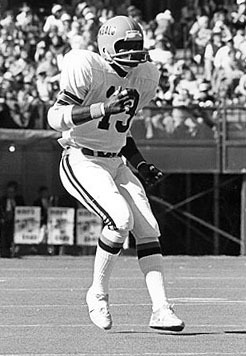 It was Craig’s play that allowed a young Jerry Rice to flourish as teams concentrated their efforts to stop him. If Craig’s move to halfback in 1987 hadn’t panned out, what would have been the legacy of Bill Walsh’s “West Coast Offense”?? It was the run from 1987-1990 that made the offense spread it’s wings throughout the National Football League. During this time is when it proved it could take on the big bad Chicago Bears defense (see 41-0 1987 Monday Night shutout) and 28-3 NFC Championship win in Soldier Field in ’88. Then you add the rivalry with the New York Giants. 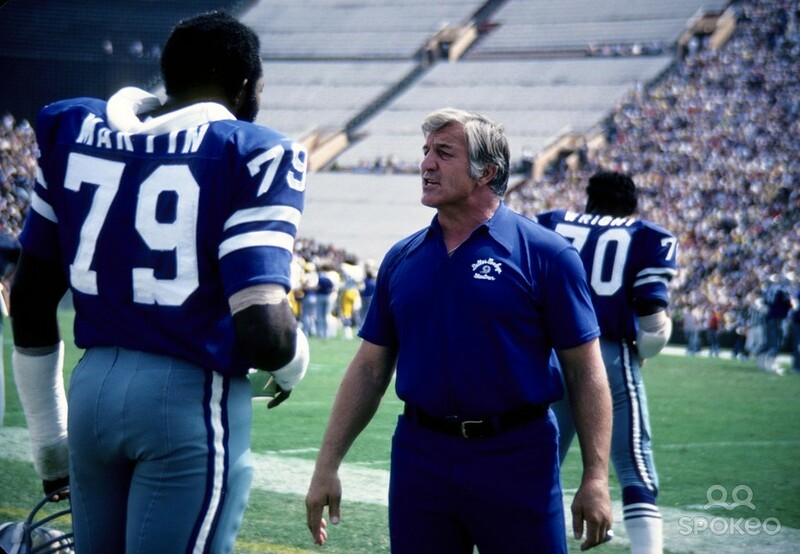 From Mike Holmgren to Denny Green to Mike White to Jon Gruden ( who had just begun coaching on the 1990 SF coaching staff) and George Seifert succeeding Bill Walsh. They all could attribute their Head Coaching jobs to some extent to Craig’s performance along with Montana and Rice. Yet the foundation of that offense running and receiving along with goal line and short yardage was #33. By the way, when did Roger Craig set the Super Bowl record for becoming the first running back to have a 100 yard receiving game?? You guessed it… Super Bowl XXIII against Cincinnati and not his record setting performance against Miami. Now had he won the Super Bowl XIX MVP, or the 1985 NFL MVP, would that have propelled him to winning the NFL MVP in 1988?? Give it some thought. One of the biggest travesties that has taken place over the last ten years was the move of Monday Night Football to cable television. In fact it’s only trumped by the proliferation of too many channels carrying NFL football. When you go back to the last generation of us fans, many of our seasons were remembered by tremendous performances on Monday Night. One great performance there and you were a made man in the eyes of all NFL fans, for every single one of them were watching the same exploits. ABC was accessible to the rich and the poor, the young and the old, which allowed generations of fans to watch the same game as well. 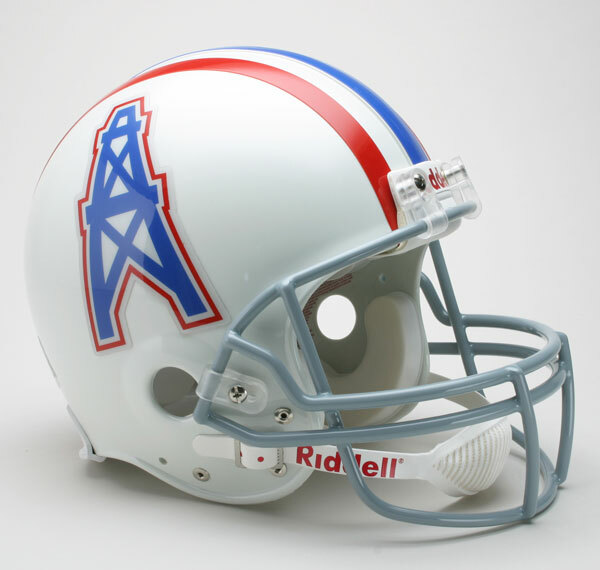 The “Luv Ya’ Blue” Houston Oilers of the late 1970’s was a team that almost won it all. Well on one memorable Monday Night in 1978, every NFL fan watching witnessed one of the transcendent games of the 1970’s. The Houston Oilers were 7-4 and hosting the 8-3 Miami Dolphins in the marquee game of the week. You have to understand the Oilers had been one of the NFL’s bottom feeders their entire existence up to that point. They had only appeared in 1 postseason game in their entire 19 year existence. 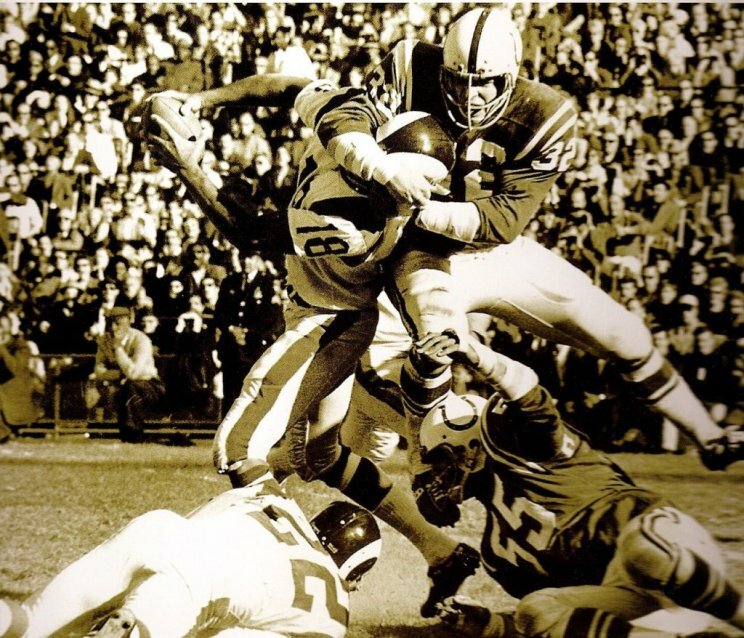 A 40-7 loss in the 1967 AFL Championship Game. So even that hadn’t gone so well…. Every year the NFL has it’s share of rookies who are supposed to live up to press clippings. The “Tyler Rose” stepped onto the field with the Oilers from day one and showed he belonged. Having won the Heisman Trophy his senior season at Texas, he came in as a marked man. Although he had lifted the lowly Oilers into playoff contention, the majority of America had only read of his exploits in newspapers. 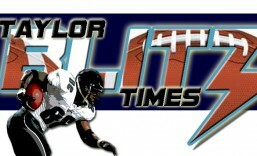 This Monday Night matchup would become the showcase where the Oilers proved they belonged with the NFL’s elite. 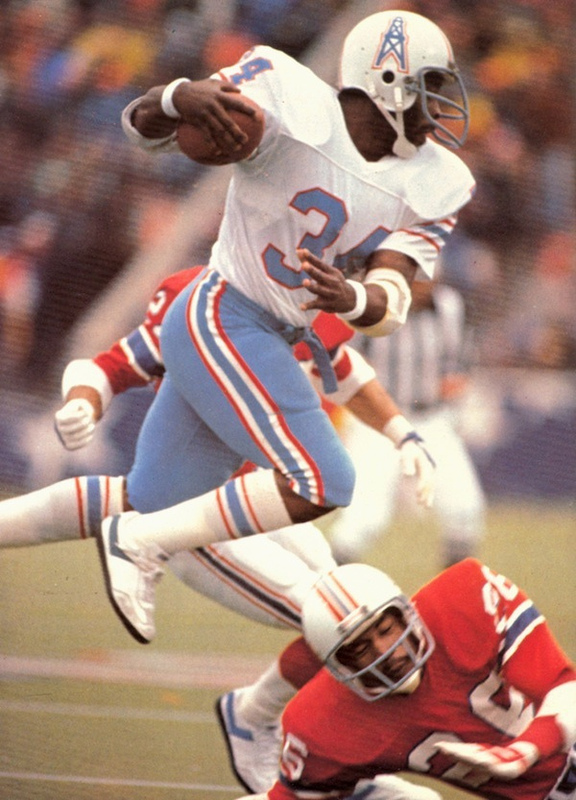 Also it would solidify Earl Campbell’s chances to win rookie of the year honors. After all he came into this week 12 contest with 944 yards rushing. Just as the late Bum Phillips recalled in the clip above, it was one where the crowd noise helped carry the game past a good game into one of great remembrance. Campbell, being cheered on by a raucous crowd, put on a performance for the ages that trumpeted his arrival as well as the Oilers as a force to be reckoned with. It was a back and forth game Houston won 35-30. This may not have been one of Don Shula’s Super Bowl teams from half a decade before but they were an 11-5 AFC East Wild Card participant that year. In fact, the Oilers would defeat them again 13-7 down in the Orange Bowl for Houston’s first ever postseason win. Who was the AFC East Champion that year?? The New England Patriots who were rocked 31-14 as Campbell powered the Cinderella Oilers to the AFC Championship Game. Campbell leapfrogging Patriot cornerback Raymond Clayborn in the ’78 playoffs. Alas they fell to the Steelers in the championship game and would do so again in 1979. Yet it was this performance that put Earl Campbell on the map for good in the eyes of all football fans, not just the NFL. You have to realize the majority of America was down to just NBC, CBS, and ABC when it came to college football and most hadn’t seen him play at the collegiate level. 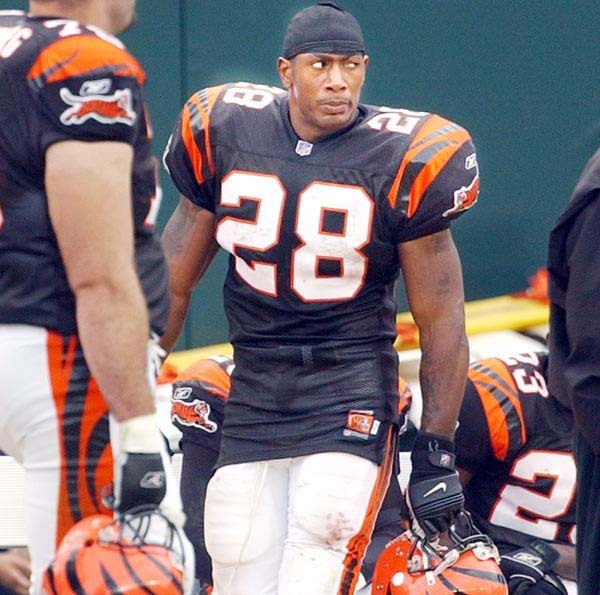 Campbell wound up rushing for 1,450 yards to lead the league in rushing. 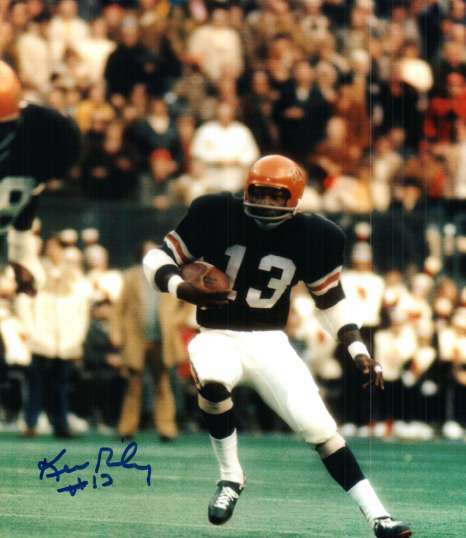 It was the first time a rookie had done so since Jim Brown in 1957. 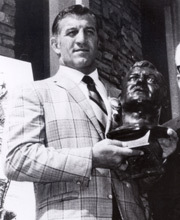 Of course he would go on to the collegiate and Pro Football Hall of Fames and ushered in the era of the big super back. George Rogers, Herschel Walker, Bo Jackson, and Keith Byars would follow from college to pro. However none captured the imagination of the football world the way Earl Campbell did that November Monday Night. As their careers are forever attached, Campbell and Phillips exit Three Rivers Stadium after the 1979 AFC Championship Game. 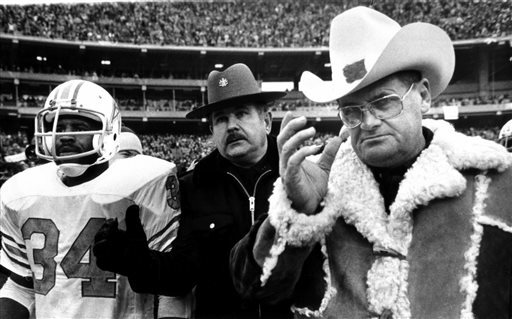 This article is dedicated to the memory of former Houston Oiler Head Coach Bum Phillips (September 29, 1923 – October 18, 2013) A coach who nearly made it to legendary status yet is remembered for the family atmosphere he fostered on those teams. He was the quintessential Texas gentleman that called games for the Oilers for years on radio as well. NFL fans everywhere will miss him.